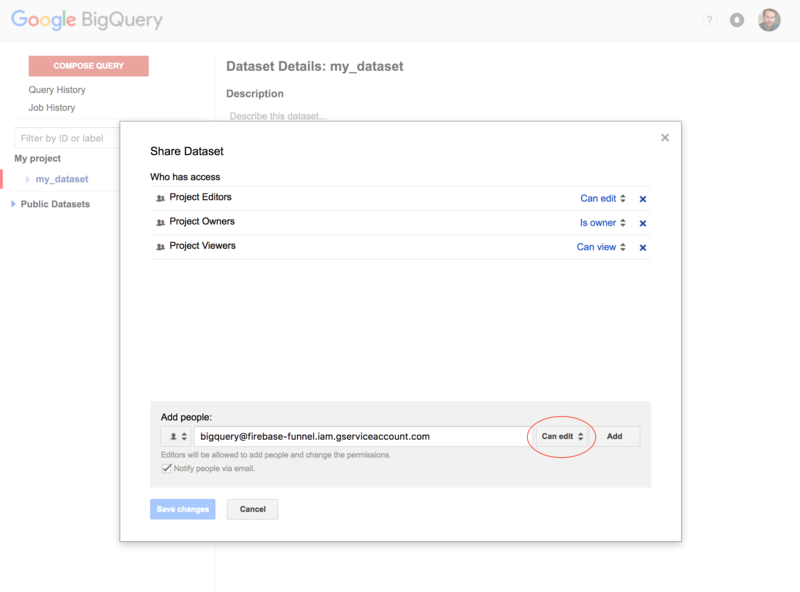 Funnel's BigQuery connector lets you export your Funnel data to a BigQuery Dataset of your choice. This guide will cover what you need to do in your Google Cloud console in order for Funnel to be able to export data there. Funnel can create a dataset for you. If you don't want this behaviour you can manage the dataset yourself by disabling 'Let Funnel create Dataset'. If you choose to manage the dataset yourself, you need to grant Funnel access to it. Note that this is not currently possible using the new BigQuery UI so you need to use the 'Classic UI' for this. After creating the dataset, use the down arrow next to the dataset name and select "Share dataset". Add the Funnel service account bigquery@firebase-funnel.iam.gserviceaccount.com with "Can edit" access. 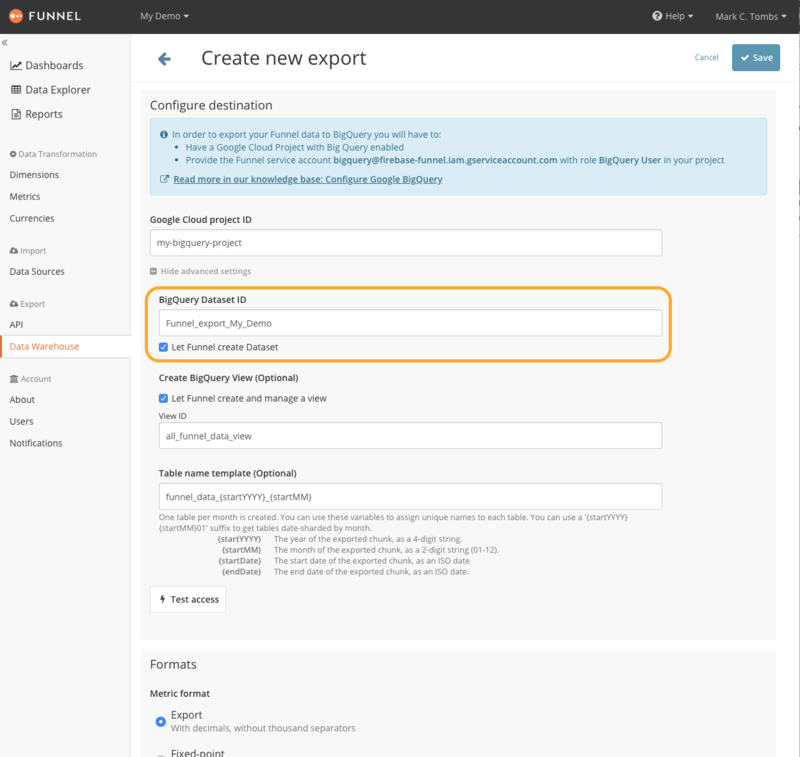 Having completed the two steps above you can now configure your Funnel export to send data to this BigQuery Dataset. Do this from within your Funnel account.